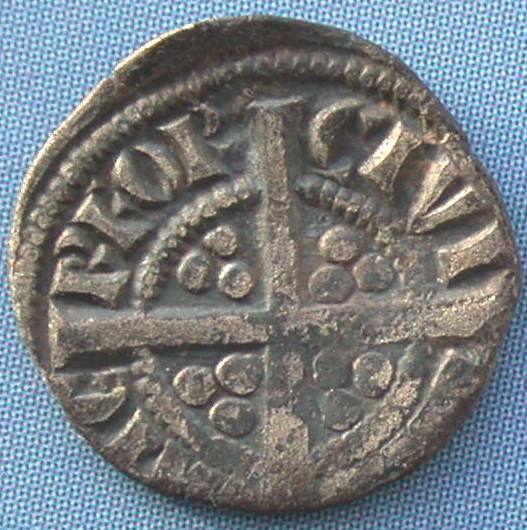 The medieval hammered silver farthings of Ireland were, from a strictly monetary perspective, the coinage of the English overlords in their Irish possessions. 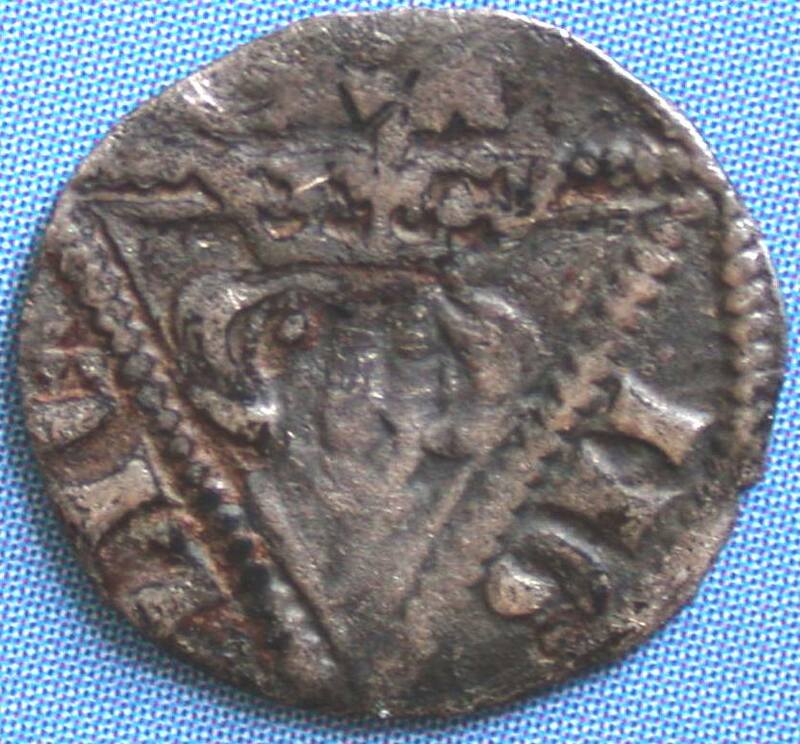 These coins were produced from Irish silver and were the only recognised instruments of paying taxes to the English. 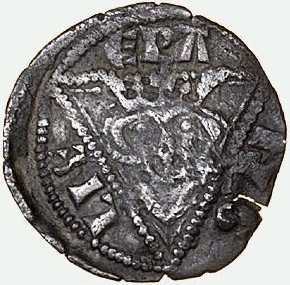 These coins were neither intended for, nor used as, coinage for commonplace financial transactions. 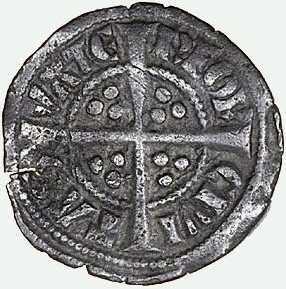 The "game" was that the Irish would have to exchange their goods or currency for English silver to pay taxes. There was a transaction fee to make the conversion - so not only did the Irish have to pay taxes to the English, but they also got charged for the pleasure of doing it! 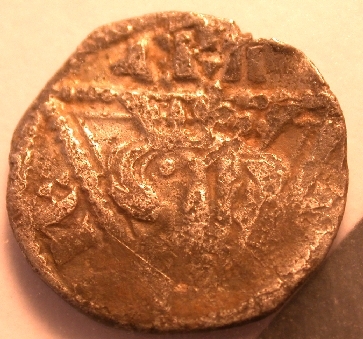 Stylistically these coins had the same style of reverse as their English equivalent (i.e. 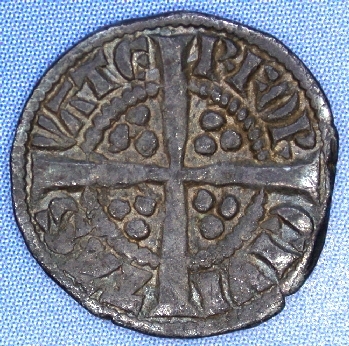 a long cross with three pellets in each quadrant and the mint name around the outer edge). 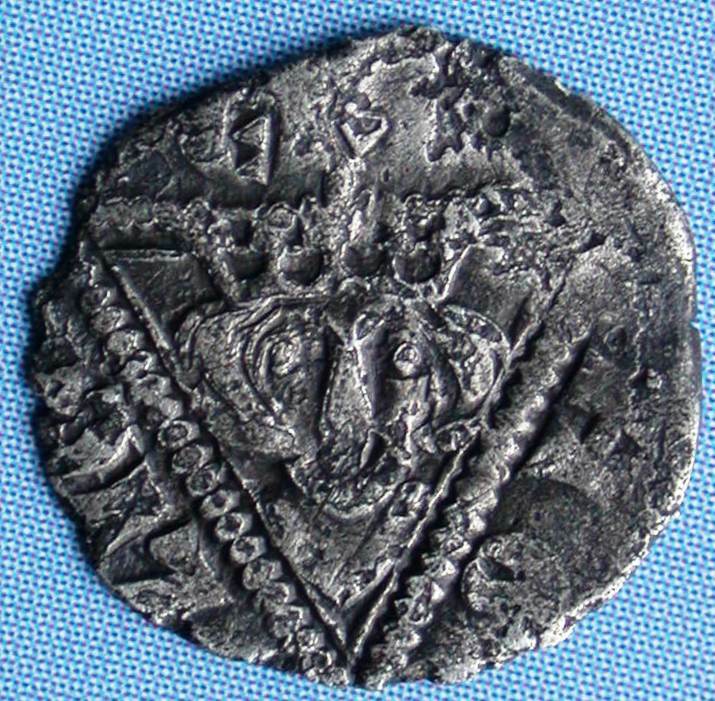 But the obverse was notably different with the inner circle that surrounded the English farthings replaced by a triangle that framed the kings' head and divided the legend. 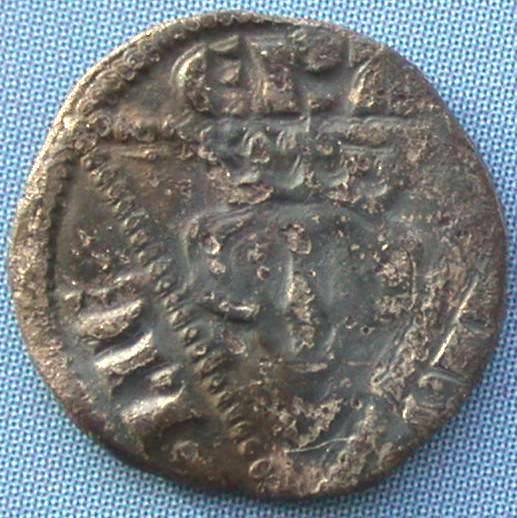 In January 1281 Alexander Normanni of Lucca became Master of the Irish money, in charge of minting at both Dublin and Waterford. He replaced Walter Unred, who was mayor of Dublin as well as royal moneyer, and probably did not have the time or the experience to supervise a large-scale recoinage. 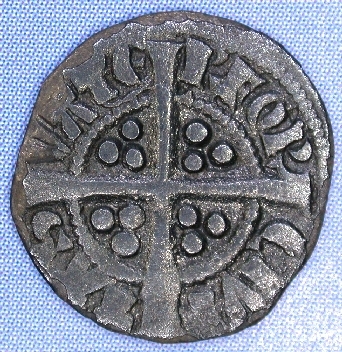 Edward also chose Andrew de Spersholt, a burgess of Dublin, as Warden in place of Henry de Ponte, perhaps in order to keep the citizens of Dublin closely associated with the exchange. 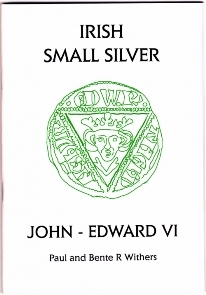 RHM Dolley suggested that between c.1280 and c.1285 there was approximately £40,000 of silver minted into Pennies, Halfpennies and Farthings at Edward I's Irish mints. He breaks this down further into £24,000 minted at Dublin and £16,000 at Waterford. 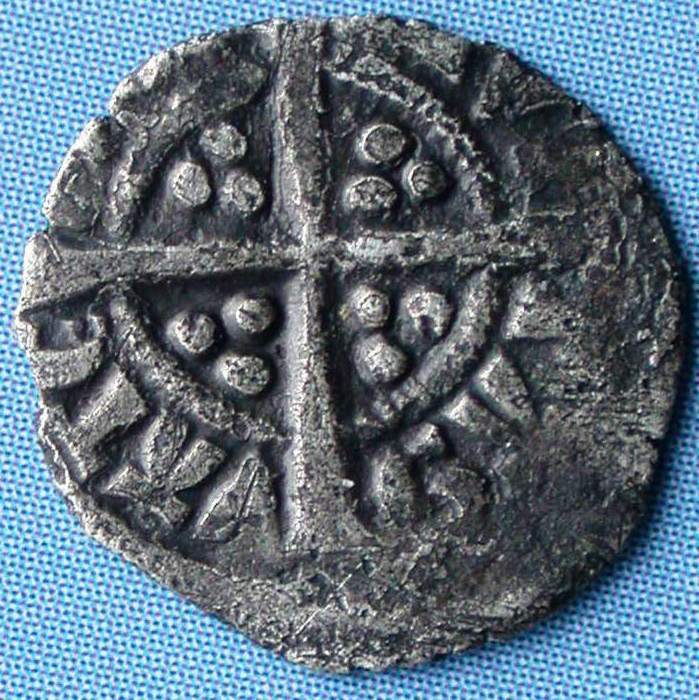 Between c.1294 and 1302 no more than £10,000 of was silver minted in Ireland. Dolley calculates that £8,500 was minted at Dublin and a mere £250 at Waterford. This total of £50,000 compares with approximately £1,400,000 struck during the same period at the English mints. encloses the kings' head. Open C & E.
(March '05) A fair example of this coin, irregular flan and weakly struck legend in parts (top photo), was sold on eBay for £32.50. This piece was found in Humberside. 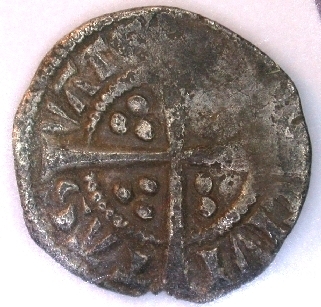 According to Withers, "finds of Irish round farthings outside Ireland are very rare." (576) Grainger [donated to the Ulster Museum in 1891] - VATERFOR. encloses the kings' head. Open C & E. Added pellet eyes. As Type 1a, but the the kings eyes have eyeballs! 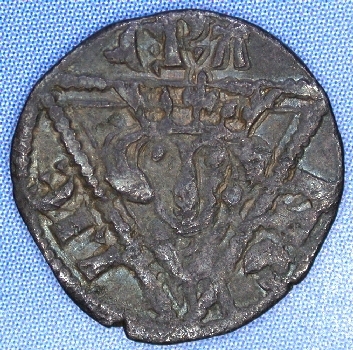 the back of the E.
Note: All examples of this obverse are from one obverse die.